ANALYSIS: Theresa May’s Brexit plan rejected by MPs for third time – what now? Theresa May's Brexit plan has been resoundingly rejected by MPs for a third time - opening up the possibility that the UK will now remain in the EU for another year. Aberdeen South MP Ross Thomson has taken to social media to explain his reasons behind voting for Theresa May's Brexit deal today. Conservative Party chairman Brandon Lewis has been asked if he misled the public over his claim that all complaints about incidents of Islamophobia by party members had been dealt with. Theresa May has vowed to Tory grassroots activists that she will not allow the referendum vote to leave the EU to be frustrated. 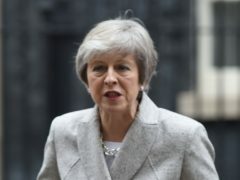 The departing Conservatives have been told they are making “a big mistake” by their former colleagues, as MPs from across the house have reacted to their decision to join the Independent Group. Cabinet ministers have heaped further pressure on veteran Tory Sir Christopher Chope over his “unacceptable” decision to block child protection proposals linked to female genital mutilation (FGM). Aberdeen's depute lord provost is being investigated by police over an allegation of sexual harassment. Brexit is becoming an issue that people increasingly want to scream about. Theresa May lives to fight another day after seeing off an attempt by her own MPs to oust her as leader of the Conservative party. The BBC News Special with the result and reaction to the confidence vote in Prime Minister Theresa May has been pushed back to 8.30pm. Theresa May has called off tomorrow night’s crunch Commons vote on her Brexit deal in the face of almost certain defeat. The Scottish National Party has won another seat on Highland Council after a recording a success in a by-election. Fly-tippers are going unpunished for spoiling the north-east’s scenic landscapes, new figures have revealed. Moray’s three most senior Conservatives have slammed the SNP Scottish Government for its “unfair” treatment of Moray Council. The SNP is poised to take control of Moray Council tomorrow after an 11th hour bid by the Conservatives failed to secure any support. Moray Council’s leadership has been thrown into chaos after Conservative councillors walked out of the administration in a row over job adverts. Aberdeen’s council leaders have hailed the progress they have made since taking control of the city 12 months ago – despite facing a rocky road to gaining power in the townhouse. SNP Westminster leader Ian Blackford has admitted a link between the party and data analytics firm Cambridge Analytica is regrettable.